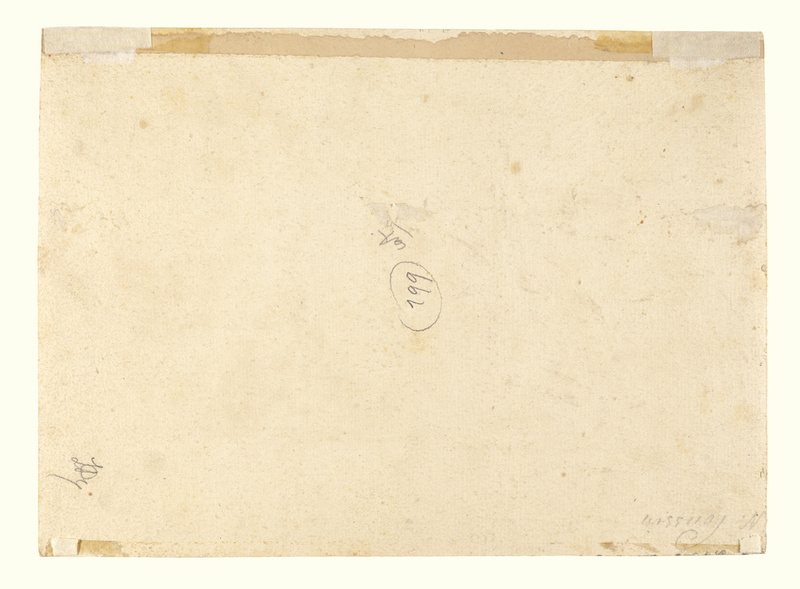 Markings: At bottom left corner, collection mark of Louis Deglatigny (L.1768a); at bottom right corner, collection mark of Defer-Dumesnil (L.739). 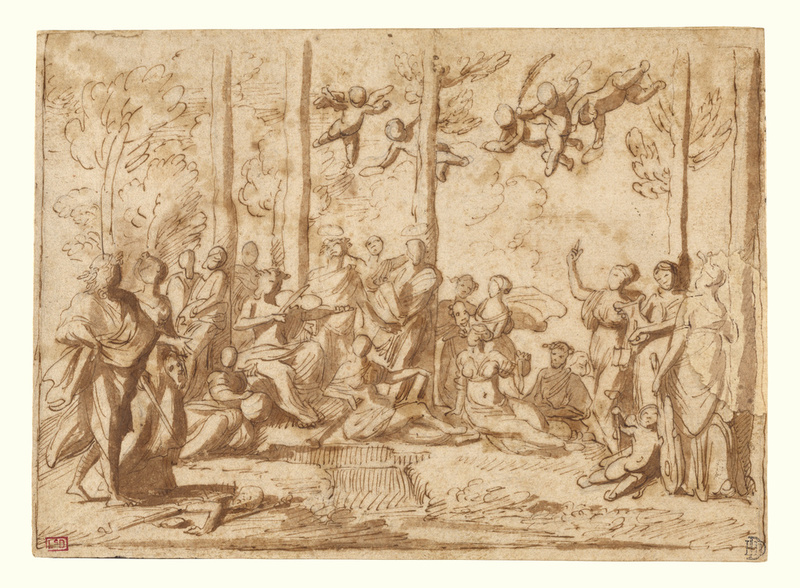 The nine Muses, goddesses of poetic inspiration and the creative arts, surround the god Apollo, who plays a lira di braccio. With Homer and Virgil, they gather along the Castalian spring, which flows through the center of the scene. Famous in ancient times as a source of inspiration and learning, this place was appropriate for making music and contemplating the beauty of Mount Parnassus. 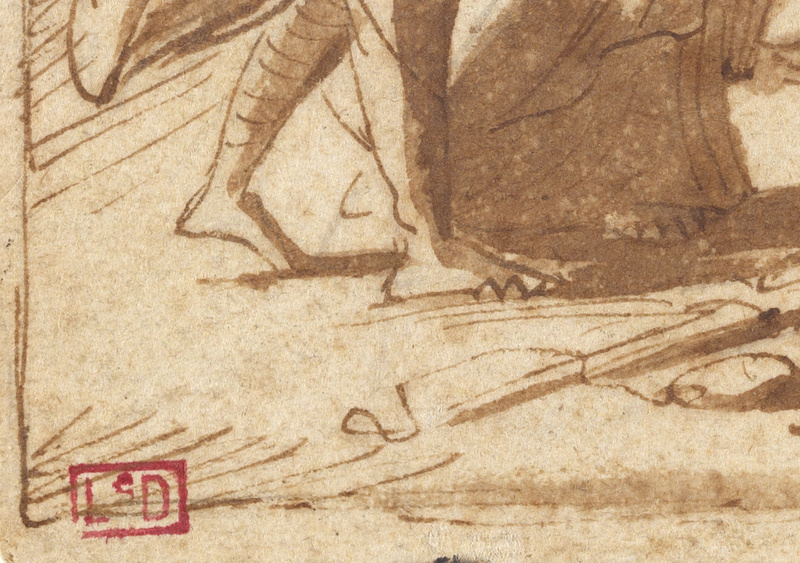 Nicolas Poussin created an animated scene full of movement, not only through the composition and arrangement of the figures but also through his drawing style. 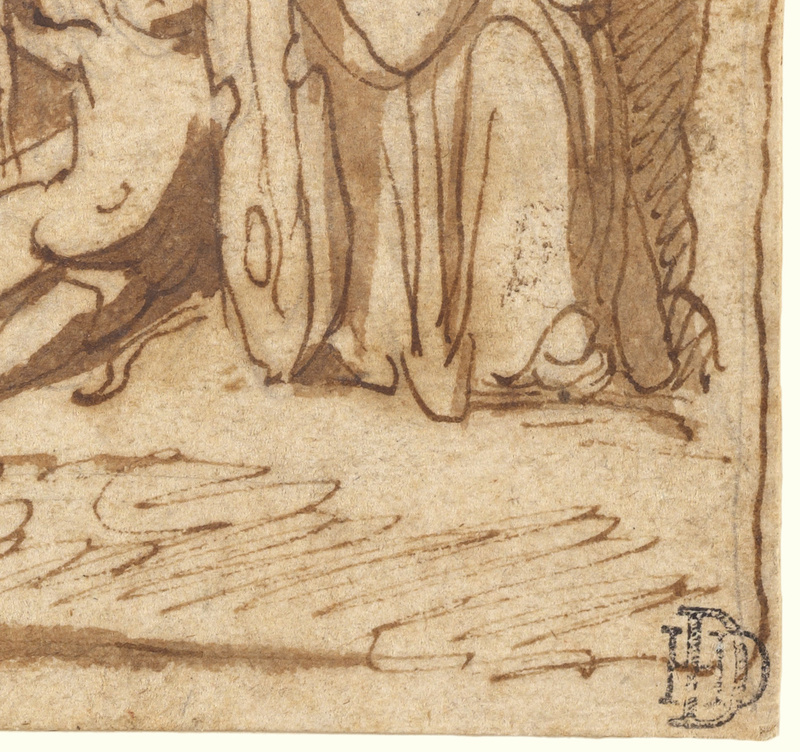 He based the composition for this drawing on an engraving by Marcantonio Raimoni after Raphael's Parnassus fresco in the Vatican, placing the figure of Apollo to the left of the center. The semi-circular arrangement of the other figures draws the viewer's eye around the scene and up through the trees to the putti in the air. The soft washes contrast with the fine pen lines, giving the drawing a lively sense of three dimensions. Pierre Defer, French, 1798 - 1879 (Paris, France), by descent to his son-in-law, Henri Dumensnil, 1870. Georges Wildenstein, French, 1892 - 1963, by inheritance to Daniel Wildenstein. Daniel Wildenstein, French, 1917 - 2001, sold to the J. Paul Getty Museum, 1983.